A Bee and Pollination Garden is coming to West Seattle! My name is Lauren and I live in the High Point Community. I am also a member of the High Point Neighborhood Association and I have an idea. After hearing how bees struggle with environmental changes, I wanted to make a difference, help the bees and educate people about what is happening, how important bees are and what can be done to change this. 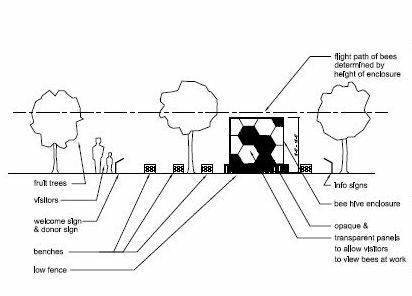 I applied for a Department of Neighborhoods Grant for the construction of an observational beehive enclosure within one of the parks in my neighborhood in High Point. Beehive enclosures help to minimize disturbance to the bees, heighten the flight path of the bees (to minimize human/bee interaction), and protect curious children from getting too close to the hives. Honeybees pollinate 30% of all the food we eat and 80% of all fruits and vegetables, but the honeybee population is declining and needs our support. 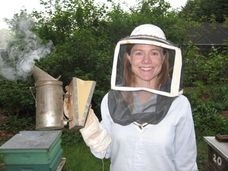 To help the bees we all have to work together. Please support me on my mission! Please donate to our fundraising Indiegogo campaign! If you would like to get involved, please check for upcoming events and us leave your contact information.